We hope all our guests feel that they get the red carpet experience when they stay with us – but did you know our village played a starring role in the winning of three Oscars? In 1976, the makers of the film Julia – starring Jane Fonda, Vanessa Redgrave, Meryl Streep and Jason Robards – were looking for a location which could pass for the American resort of Cape Cod in the 1930s. Their location scouts took one look at Winterton and decided it was born for the part. 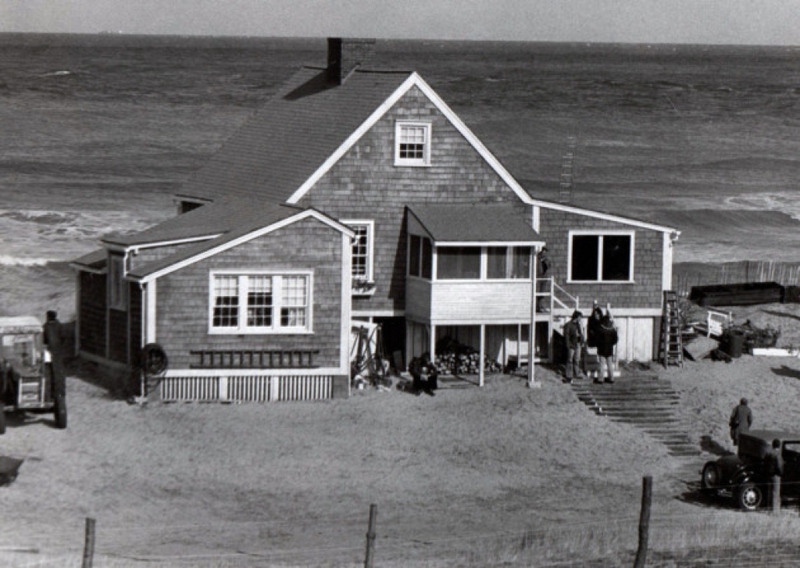 A seaside chalet was built to play the summer home of the main character, author and playwright Lillian Hellman (played by Fonda). At the top of the dunes they also made a church and other buildings out of wood to look like America’s rich summer playground. The chalet had specially constructed walls which moved to allow ease of filming – the crew took it with them when they went and now you’d never know it was ever even there. The film was based on a chapter of Hellman’s book Pentimento, about her relationship with her childhood friend, Julia. At her behest, Hellman undertakes a dangerous mission to smuggle funds into Nazi Germany. On its release in 1977, the film grossed $20.7m at the box office and received 11 nominations for Academy Awards. It won three – best supporting actor (Robards, who played Hellman’s mentor and lover Dashiell Hammett), best supporting actress (Redgrave, who played Julia), and best adapted screenplay. We can’t help thinking the stunning location may also have swayed the judges. You’ve probably seen a lot of the nearby countryside, towns and villages in a whole host of movies, as Norfolk is a popular location. The area played a very surprising role in Stanley Kubrick’s Full Metal Jacket, in 1987. The scene where an American helicopter lays waste to Vietnamese paddy fields was actually shot over the Broads. Farmland in North Norfolk also played the body double of paddy fields for the Bond film Die Another Day. Local locations have worked especially well for adaptations of ghost stories. Happisburgh was the location for A Warning to the Curious (1972) featuring the church, and the dunes at Waxham were also used to terrifying effect in Whistle and I’ll Come to You (1968), which starred Michael Hordern. Great Yarmouth has been used for many films, TV series and music videos – Madness filmed the video for House of Fun there, saying the Pleasure Beach was the best fairground in the country! 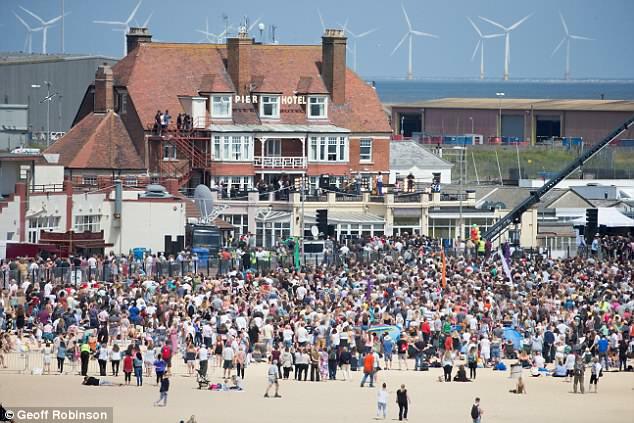 And you will be seeing a lot of Gorleston over the summer as the new Danny Boyle film, Yesterday, uses its beach and the Pier Hotel as the location for a music concert. The film starts with the premise: “What if The Beatles never happened...?” We’ve seen the trailer and it looks like a fun romp. Lots of local people were in the concert crowd scenes so you may see a face you recognise. Danny said the beach was “one of the great secrets of England”, and we wouldn’t disagree. It’s perfect for a proper day out on the sand – chips, ice cream, sandcastles and paddling. If you spend a day in Norwich – and you really should – you will see lots of places you may recognise from the silver screen. The historic Elm Hill was transformed for the Clare Danes film, Stardust, and the cathedral has been used in many offerings, including Tulip Fever, My Talks With Dean Spanley and Jack the Giant Slayer. And, of course, no Alan Partridge film or programme would be complete without some views of the Fine City. The film Alan Partridge: Alpha Papa even had its world premiere in the city, choosing the now closed Hollywood cinema over Leicester Square. These are just a few highlights around the Winterton area – there have been dozens of other blockbusters using Norfolk as a backdrop – and while there may not be any Oscars coming our way this February, we think our lovely little corner is always the star of any show.